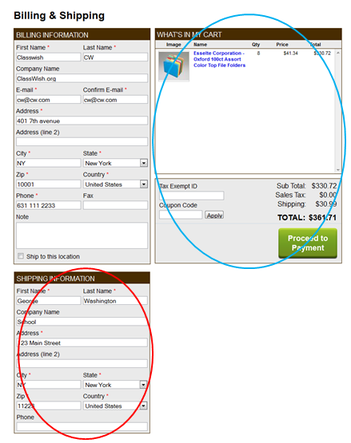 When you have donation funds to use (or are about to add your own funds), go to http://www.teacherssupply.com/. (To see other vendors for other categories, please go to the home page of this ClassWish vendors site). Do NOT provide your credit card info. 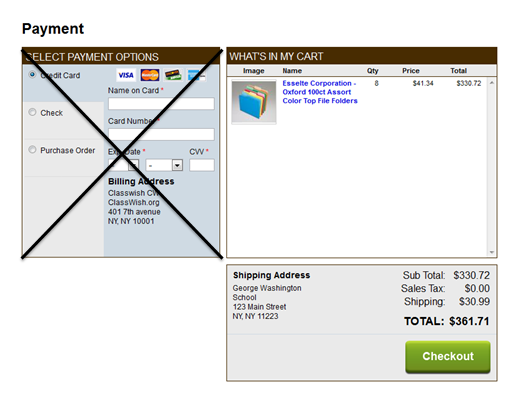 You are only using the Teacher School Supply site to assemble the order, not to place it. Please add this subject line: Teacher request for Teacher' School Supply. We will submit the order to Teacher' School Supply and pay for it. Teacher' School Supply will ship the materials to you at your school.